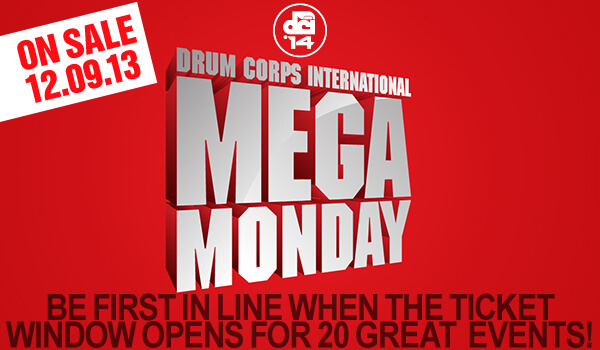 Tickets to 20 of the more than 100 exciting events that will make up the 2014 Drum Corps International Tour schedule went on sale today, Monday, Dec. 9, through the DCI Box Office and Ticketmaster. Act now to take advantage of this early opportunity to grab some of the best seats in the house for some of the most popular tour stops of the year. Read more about the 2014 Drum Corps International Tour schedule.